Scott Norton began making ketchup in his college apartment almost 10 years ago. It was 4 years after Malcolm Gladwell wrote that Heinz could never be overthrown – but Scott didn’t buy it. So he and his Co-Founder, Mark, set out to disprove this theory with a product that was the complete opposite of any available on the market and Sir Kensington’s was born. Mark went on to work in finance, joining Lehman Brothers a month before the historic crash, and travel across Asia for a series on folding bikes but his love for condiments never ceased. 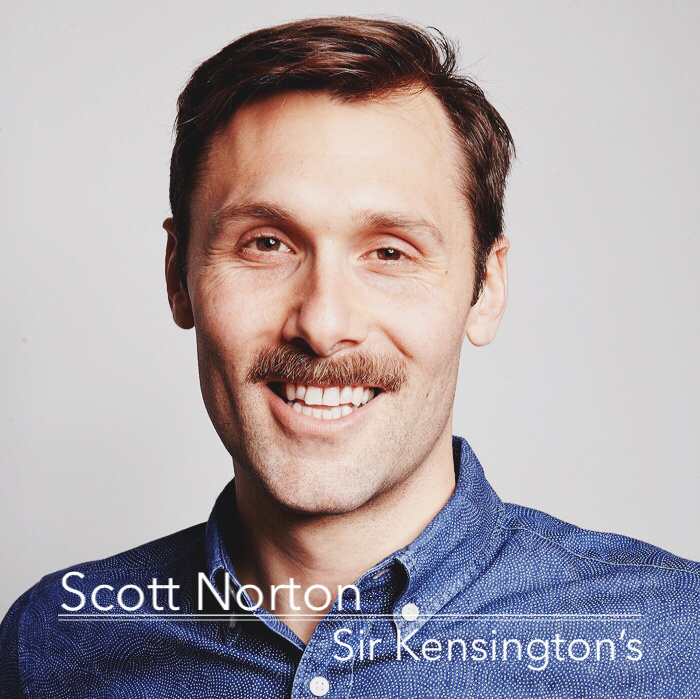 Upon moving back to NYC, he and Mark rejoined to turn Sir Kensington’s into a full-time endeavor. Join us as we sit down with Scott to talk about creating a brand personality for a food product, leading a business with strong enough values to establish culture yet enough flexibility for change, growing into a brand big enough for Walmart and marketing a food brand in the new age. career change condiments Ethan Frisch Finance food entrepreneurs Heinz Jenny Dorsey ketchup Malcolm Gladwell Scott Norton Sir Kensington's Why Food?